Following an exonerating result of the U.S. federal investigation into alleged collusion by his pre-election campaign with Russia, U.S. President Donald Trump has expressed satisfaction with the end of the two-year investigation. French news agency AFP reports that in the weekend the was released the final report of a long investigation into alleged conspiracy by the Trump election campaign with Russia in 2016 to hack Democratic Party computers and flood social media with disinformation to harm Trump’s Democratic election rival Hillary Clinton. «There was no collusion with Russia. There was no obstruction. It was a complete and total exoneration,» U.S. President Donald Trump commented on Twitter on Sunday, March 24. 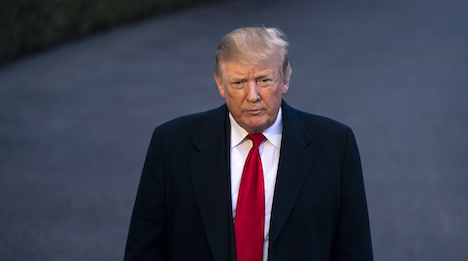 U.S. Attorney General Bill Barr also stated to the U.S. Congress the investigators of the case clearly had some evidence to support an obstruction case, but was uncertain whether it was enough to support criminal charges. U.S. Attorney General also stated that no further indictments being referred, and no sealed indictments outstanding and the team of investigators is disbanding.